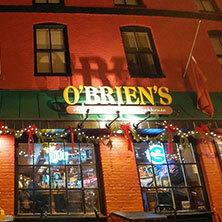 Whatever the century or decade, O'Brien's at 113 Main Street Annapolis is the place to be in Downtown. 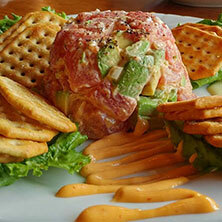 With live entertainment and a great menu. View our everyday menu, with all of your favorite dishes. this menu is served all day every day. 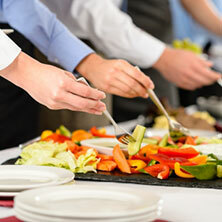 We have separate menus for dinner and lunch banquets, click here and then choose which menu you would like to view. 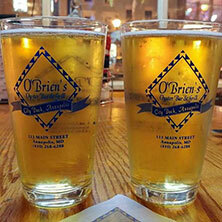 Obrien's Time is Mon-Fri 4-7 PM, view that menu here. We also have Live DJ's Friday and Saturday 10PM-2AM. O’Brien’s Oyster Bar and Seafood Tavern in Annapolis, Maryland is a historical and distinguished dining venue that offers the best food, the best entertainment, and the best prices. While placing emphasis on Chesapeake Cuisine, guests don’t leave disappointed thanks to our unique approach to Annapolis Hospitality.